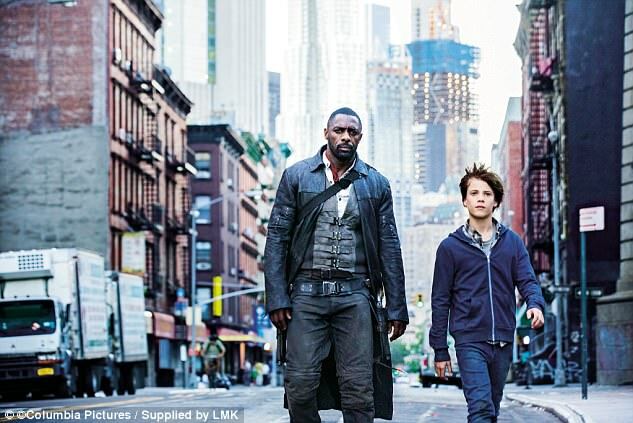 It is not often that I’m tempted to give up on a film after less than 15 seconds but for The Dark Tower I was seriously considering making an exception. Would have saved time too. As the first scene-setting caption spread dismally across the screen, I could feel my spirits plummet. ‘A tower stands at the centre of the universe,’ it portentously explained, ‘protecting us from darkness’. Of course it does. The second was no better. Something about the only thing that could bring down this tower being ‘a child’s mind’. Cue footage of frightened children being frogmarched into a sinister ziggurat, strapped to chairs and having helmets and electrode-like things attached to their heads. Someone (I’ll wager a baddie) throws a switch, the children writhe and suddenly a beam of powerful light arcs into the sky, presumably heading for the aforementioned dark tower. Kerpow! Direct hit. 1-0 to the baddies. Yes, it’s fantasy time again, although judging by the tender years of the young lad who turns out to be our hero, less of the popular ‘young adult’ variety, more the ‘early teen or pre-teen’ type. But even this target audience will surely be disappointed with the way an eight-book series by the prolific Stephen King can be reduced to 95 minutes of over-acted, effects-dependent, derivative tosh like this. Clearly struggling with a screenplay written by committee (four writers are credited, including Akiva Goldsman, who directed and co-wrote the similarly disappointing A New York Winter’s Tale) the hitherto well-regarded Danish director Nikolaj Arcel introduces us to a world of portals, house-demons and a strange quality called ‘shine’. But, despite a modest talent for evoking paranoia and generating tension, his execution is so clumsy that a film that clearly had aspirations to be another Inception ends up making that George Clooney dud, Tomorrowland, look good. It begins – structurally, if not strictly chronologically – on Earth, or ‘Keystone Earth’, as it is known in the strange ‘multiverse’ we are being asked to believe in. It is here, in New York, that Jake (Tom Taylor) is having trouble growing up – hating his stepfather, isolated at school and, most of all, haunted by nightmares of dark towers, a man dressed in black and someone who looks like an old-fashioned gunslinger out of the Wild West. His mother and stepfather think the drawings he makes of his visions are signs of mental illness but, as they spill into his waking hours too, Jake is not so sure. Then a house he’s drawn from his dreams turns out to be real – in Brooklyn, in fact – and we’re off. Goodness, you don’t think a portal awaits, do you? 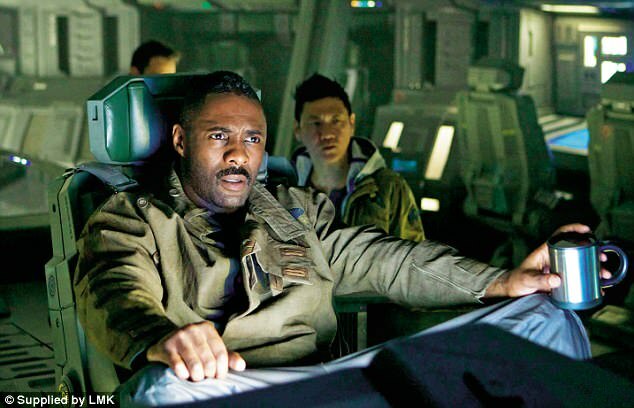 The only things awaiting Jake on the other side of the portal are an over-acting Idris Elba and Matthew McConaughey – an actor notoriously reluctant to under-sell any part. In both cases, the bass tones of their voices have been turned up almost comically high. More inadvertent comedy awaits as we discover more about them. 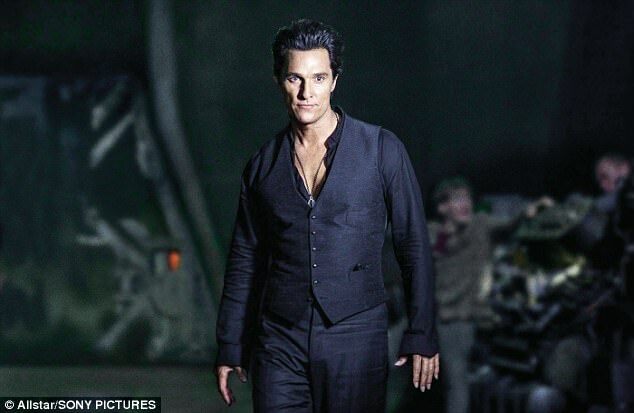 For while the former is playing a character who really is known as ‘the gunslinger’ and the latter is a possessor of powerful, god-like ‘magics’ who is known – somewhat unimaginatively – as The Man In Black, their real names turn out to be Roland Deschain and Walter O’Dim. Don’t know about you but I love the fact that the battle between good and evil, indeed the very future of the universe, comes down to Roland v Walter. Of the two stars, Elba escapes with a little more dignity than McConaughey, who as well as having been given brown hair appears to have had his faced polished to a strange, lineless perfection. But then if you were the possessor of all-powerful ‘magics’ I suppose that might be high on your ‘to do’ list. In a film in which echoes of The Matrix are never far away, it’s disappointing to discover that the story’s resolution comes down to ‘guns, lots of guns’. But then doesn’t it always? The boiled-down story they’ve been given to work with is not only conspicuously short of meaningful female characters but so thin that it’s no wonder they struggle. Basically, it comes down to wicked Walter trying to harness Jake’s ‘shine’ to take down the tower, and Jake – and an initially reluctant Roland – trying to stop him. In a film in which echoes of The Matrix are never far away, it’s disappointing to discover that the story’s resolution comes down to ‘guns, lots of guns’. But then doesn’t it always? It’s also unedifying – particularly in the dangerous world we live in today – to see an 11- or 12-year-old boy being taught how to fire a gun and endlessly rehearse a mantra that ends with the line ‘I kill with my heart’. I should have given up at the beginning. 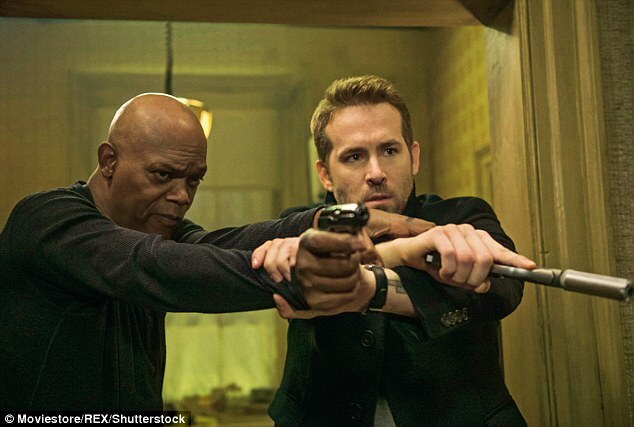 Somewhere along the creative line, the decision was apparently taken to turn The Hitman’s Bodyguard (15) from an out-and-out action thriller to a comedy thriller and, boy, doesn’t it show, particularly in the first third of this extraordinarily uneven production. One minute a ruthless Belorussian despot is calmly executing a mother and child while a small war breaks out on the streets of Manchester, and the next, Ryan Reynolds and Samuel L Jackson are bantering away and having a high old time debating the meaning of the word ‘plethora’. The result is very odd – like a not altogether happy cross between London Has Fallen and In Bruges. What saves it is the undoubted screen chemistry between Reynolds and Jackson, the former playing a down-on-his-luck, London-based ‘executive protection specialist’ (i.e. a bodyguard) and the latter a former hitman who has struck a deal to give evidence against said despot (Gary Oldman) at the International Criminal Court in The Hague. The only problem is getting him there. 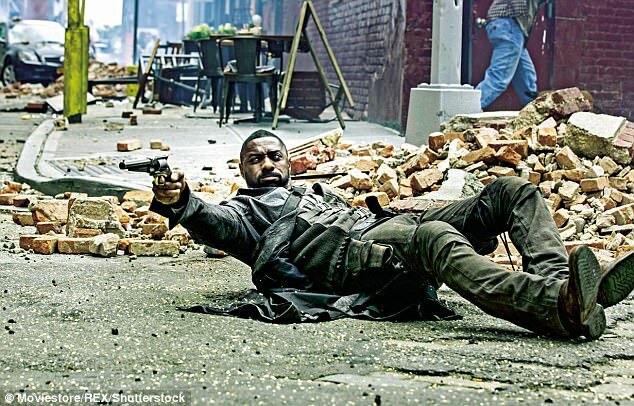 With echoes of 2 Guns, the 2013 comedy thriller that employed Denzel Washington and Mark Wahlberg to similar effect, the result is an over-long and excessively violent picture that slightly falls foul of our newly reduced appetite for seeing murderous mayhem on the streets of Europe (both London and Amsterdam feature large). Nevertheless, thanks to Reynolds and Jackson, and a foul-mouthed cameo from Salma Hayek, it does raise a smile or three. A more reliable pleasure, particularly for anyone who did their growing up in the Seventies, is The Odyssey (PG), a French biopic charting the life and times of the great underwater explorer Jacques Cousteau, already parodied by Wes Anderson in The Life Aquatic with Steve Zissou. But this straight version is no punch-pulling hagiography. Along the beautifully shot and very nicely acted way, Cousteau is portrayed as a self-obsessed egotist who regularly cheated on his wife. Even his trademark red woollen hat is exposed as a cynical device to boost television ratings. But for all these human weaknesses – or perhaps because of them – it is a fascinating and compelling story that serves as a powerful reminder of Cousteau’s infectious enthusiasm for life underwater. Lambert Wilson and Audrey Tautou are both excellent as Cousteau and his spirited but long-suffering wife, Simone. The ageing process is beautifully handled – both of them and their vessel, Calypso – and I guarantee British audiences will come out knowing more about the great but flawed man than they did going in. Everything, Everything (12A) is the latest instalment in the popular genre that can only be described as ‘the dying teenager’. This one is about Maddy (Amandla Stenberg) who suffers from ‘severe combined immunodeficiency’ that leaves her vulnerable to infection. It’s why she’s spent her entire 18 years behind an airlock in her doctor mother’s architect-designed house. And then handsome Olly – he of the floppy hair and lazy smile – moves in next door, and her life changes forever. The film is sentimental and, given their ages, strangely chaste, but it does serve up one or two genuinely sweet moments before being undone by a melodramatic late twist that borders on the absurd. Final Portrait (15) is the latest directorial foray of that fine actor turned occasional-film-maker Stanley Tucci. 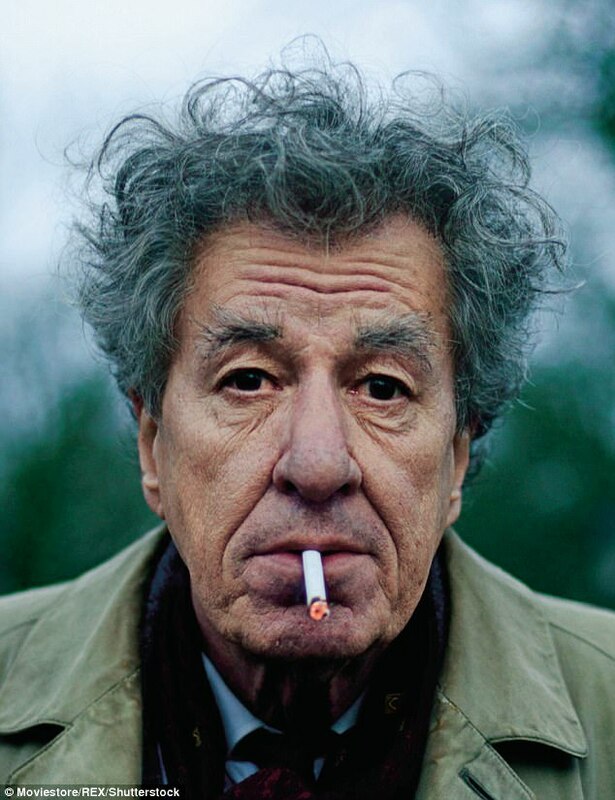 As you’d expect, he draws top-notch performances from his cast, particularly Geoffrey Rush who is a shuffling, grunting, explosively foul-mouthed joy as the artist and sculptor Alberto Giacometti. But he’s let down by his own thin and repetitive screenplay, which begins in Paris in 1964 with a preppy young American writer (Armie Hammer) sitting for what would be the Swiss artist’s final portrait. Rather like the sittings, the film just goes on and on and on.